As the leader of your workplace, one of HR’s roles is to keep employees as positive as possible. Positivity goes a long way toward promoting productivity and the motivation to make sure the job is done efficiently each and every time. 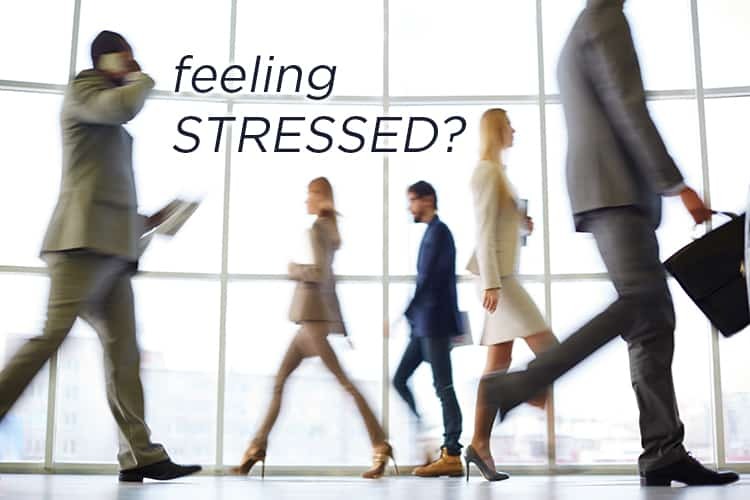 There’s no doubt that you and your employees experience stress—and, likely, on a daily basis. Although some of this stress is unavoidable, Terryberry believes that maintaining positive outcomes in the wake of high-stress situations can make all the difference. Here are five ways you can minimize stress in the workplace today. Terryberry believes that developing your own employee recognition program can go a long way in the incorporation of stress relief in the workplace. The better the rapport between you as the manager and your employees, the more likely they are to be engaged with you and their tasks. Recognize the effort your employees put in on a daily basis and don’t leave anyone out. From a short, personal chat to formal achievement recognition, you can really elevate the mood of your employees. In the process, you will undoubtedly also make it easier for them to work through work-related stress. One of the more common reasons that stress occurs in the workplace is as small as your employees’ start to their day. Many may have small children that they have to get to school on time. Others may be pressed for time due to a long commute. No matter the situation, mornings can be chaotic. When possible, offer your employees flexibility when it comes to their time at work. Try to maintain a mindset that says, as long as deadlines are being met and work is being done efficiently, you can be a little flexible in work hours. Depending on your industry, offer your employees days to work remotely from home. If your employees have small children who need to be picked up from school during work hours, which adds to daily stress levels, consider offering the option for them to pick their kids up and bring them back to the office—so long as they are well-behaved, of course. Great management is about going the extra mile for your employees, as they should for you. Provide flexibility where you can. In your career, have you ever been in a position where your responsibilities were sometimes unclearly defined? If so, you probably remember how anxious and stressed this made you feel. It is also likely that you, as a manager, may be spread thin when it comes to availability. Make sure to make job responsibilities clear to all of your employees. When they are sure of their responsibilities, they do not feel stressed in the process of completing their work. This also saves time in having to ask the questions necessary to job completion. Work can be stressful enough even without confusion. While physical activity won’t take all the stress of your job away, it’s scientifically proven that 30 minutes a day of some sort of exercise can be a great stress reliever. Whether it’s a walk around the office or standing up from the desk to do some simple stretches, you’ll be surprised at how a little physical activity can go a long way. If this is an area where your organization wants to focus, consider Terryberry’s Employee Wellness Program as a tool to provide structured wellness challenges that are designed to help your employees stay well – emotionally, physically, and mentally. Have you ever had a busy week when you neglected chores such as laundry or general housekeeping? When things are cluttered or unorganized, so is your mental state. Make sure that your office space is clean and organized for the benefit of all. The less time having to scramble for papers or recall where you misplaced that folder, the more time there is to be productive. Misplacing something important is incredibly frustrating, and emphasizing the importance of organization to your employees will lower their stress levels while keeping your office running like a well-oiled machine. Do your best to make your workplace as stress-free as possible. The benefits you will see from a well-implemented plan to create a positive and healthy company culture for your staff are substantial. As always, contact Terryberry for any of your employee recognition needs. We’re happy to guide you!